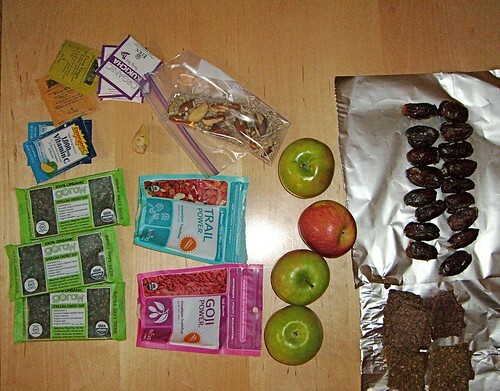 since the raw food thing, I’ve developed a bit of a system for food while traveling. Pictured below- that’s for 36-48 hours, with the idea that I wouldn’t have to eat anything acquired in the location being visited….most of the traveling I do now is brief, near airports, and doesn’t give time to go find some palatable food to eat. If I do buy something out there, it’s usually fruit. and I just gave up on the water issue, and buy the terribly unecological but tasty fiji water available at every airport starbucks for $4. I also bet you are in MUCH better health than I…GOD BLESS YA!